Hi, This is just AMAZING & its very informative thank you.! I have enjoyed reading about the fat burning foods you have posted. Really, these are more helpful to reduce fat. I am very glad to go through your wonderful article. Thanks for sharing a nice blog. Thank you Jai for the kind words. We will keep sharing more blogs. Discover fast and easy fat burner recipes with the best fat burning foods that will make your dull diet superfluous and burn fat faster! Yes, we will discover more and share soon. Thank you Vera for sharing the link. Thank you Harold for the kind words. Yes, its a vast topic to learn. 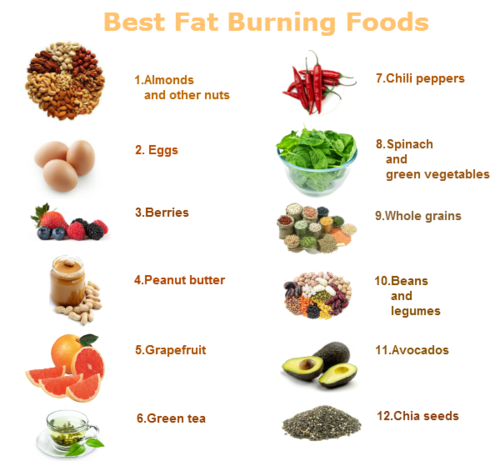 Amazing Fat Burning Foods list. these foods can boost your metabolism and help your body to burn fat. Hii..Awesome article..These kind of food have a lot of benefit in them and it actually can reduce belly fat..Green tea is well known for its benefit..Its been drink by many but not many know of its benefit..By the way people are having success losing belly fat with this https://bit.ly/2NdbgKc..Check it out.. I loved what you shared, especially the recommendations to burn fat. I’m going to combine it with what I’m doing http://bit.ly/2N1c4iy to improve my results.